The politics of division won't work to fight a threat like global warming. The events of the last two years show that Americans know how to choose up sides and fight each other. But if we had to, could we put aside our differences and fight together? We are about to find out. According to the Intergovernmental Panel on Climate Change, we are running out of time. Ninety-one of the world’s leading climate scientists warn that if we don’t cut our emissions in half over the next decade, we will face a global crisis – not in the next century, but in the next 25 years. The time for easy tweaks has passed, and we need to “turn the world’s economy on a dime,” in the words of one of the report’s authors, if we hope to avoid the worst consequences. This is not a hoax. It is not a theory. It is not a natural cycle of warming and cooling. It is a man-made catastrophe that demands a national effort unlike anything this country has seen since World War II. As in 1941, what’s required now is leadership. After Pearl Harbor, President Franklin D. Roosevelt delivered the bad news to the nation and called on it to rise up in its own defense. This report should be our Pearl Harbor moment. Unfortunately, President Trump was dismissive when he was asked about it, saying he would have to see “which group drew it,” alleging that there were other equally valuable studies that say we have nothing to worry about. “I can give you reports that are fabulous, and I can give you reports that aren’t so good,” Trump said. This president thrives on division. He can provoke a reaction from his opponents and rely on a backlash from his supporters. His campaign-style rallies are designed to delight the people in the room and infuriate the ones outside. He keeps his base of supporters on board by making sure he never has to deliver anything to them that they would consider to be bad news. Those are political tactics that might win an election or dominate a news cycle, but that approach cannot be used to fight an existential threat like climate change. According to the report’s authors, the speed in which the planet is warming is not reversed by 2040, sea levels will rise, coastal areas will be inundated and worldwide poverty will explode, causing mass starvation and a refugee crisis many times greater than the one that exists today – which is already overwhelming the capacity of the world’s humanitarian organizations. 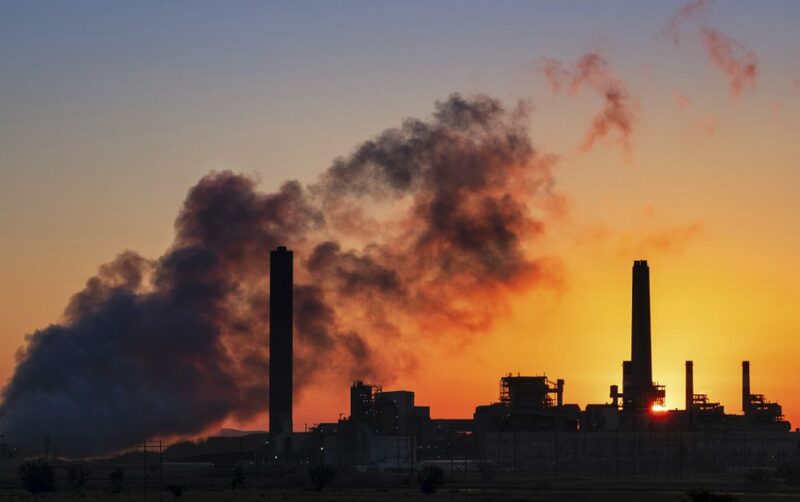 To head off the worst consequences, greenhouse gas emissions would have to be reduced by 45 percent from 2010 levels by 2030, and 100 percent by 2050. The report also found that the use of coal as an electricity source would have to drop from nearly 40 percent today to between 1 percent and 7 percent by 2050. Renewable energy such as wind and solar, which make up about 20 percent of the electricity mix today, would have to increase to as much as 67 percent. The authors recommend a carbon-pricing scheme much more expansive than any that exists. None of those changes would be easy to achieve, and not everyone is going to agree. This is not just an environmental crisis, it’s a test of our ability to govern ourselves. We will soon find out whether this generation can respond to its Pearl Harbor moment.